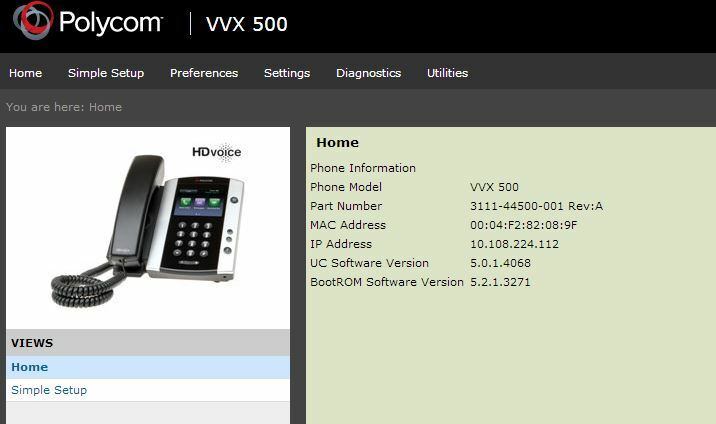 One other issue I have with the VVX series is that with the CX, you can type a few digits and the phone can work out possible letter combinations to search from the address book. 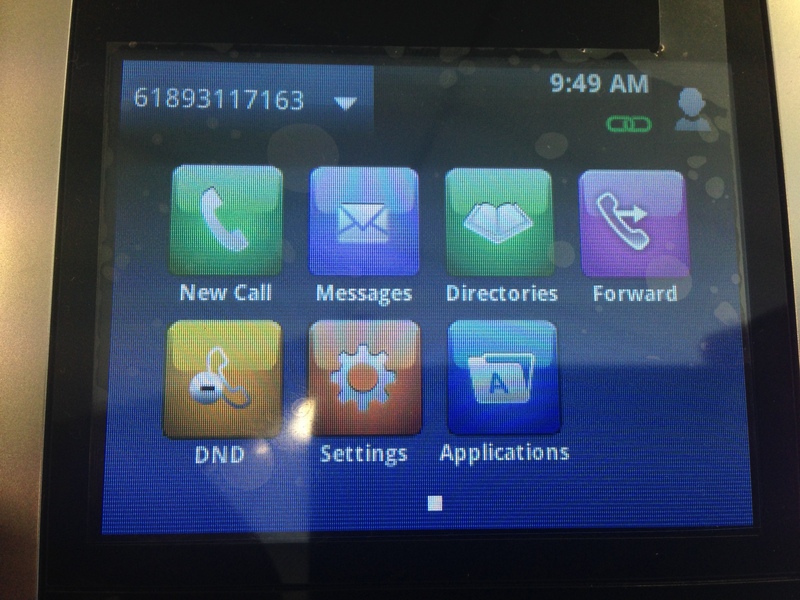 with the VVX it a much longer process having to open the contact lists and then search. I am surprised this feature is not still there as it was really handy. Thanks for the comment. And yes, that is a useful feature in CX that lacking in VVX. The reason for that is that the VVX is just a “qualified” device rather than an “optimized” device. The optimized devices supports RNL (Reverse Name Lookup) based on the numbers that getting dialed out and Qualified ones doesn’t have that capability. 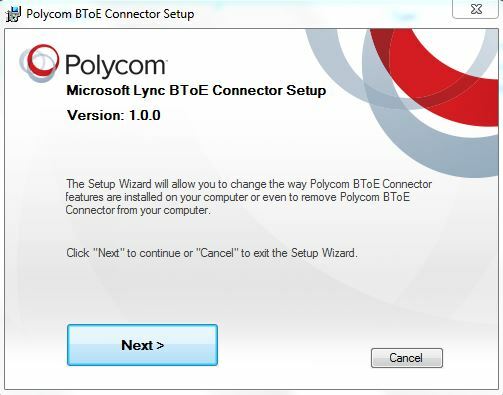 So, I actually DID end up getting this to work with Lync on-prem and Exchange Online. The trick is that your Email Address and UPN have to be the same. Often, if you have an AD UPN of employeeID@company.local – you can’t get certain things to work. However, as I am a Domain Admin, I have my UPN and exchange account with firstname.lastnight@sip/exchange_domain.com and dirsync has the passwords matching. So, as long as all that matches – looks like the VVX 500 will work with Exchange Online. Thanks for sharing Greg. I still didn’t get a chance to work with VVX in O365 environment. It’s good to know that this is possible. Glad to hear this works. Any other tips one needs to know? Do you happen to be using AD FS single sign-on? Or just dir sync with password hashes? I have a VVX in a Lync 2013 / O365 environment but following the above instructions doesn’t seem to work. Once you have changed the phone to a Lync phone I can’t access it via http / https to put in the Exchange information? 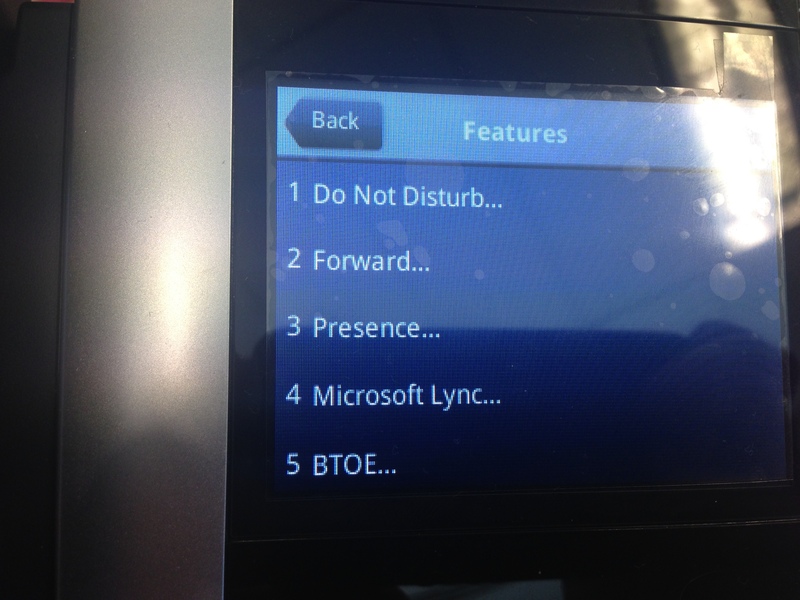 Changing the configuration to Lync mode shouldn’t kill the web portal. Have you tried to upgrade the firmware of the device and try in case of it’s running an older firmware? This is really strange – I’m running 5.2 on a VVX 600 and the latest firmware on a CX5500 (it looks like 5.2 though labelled differently). 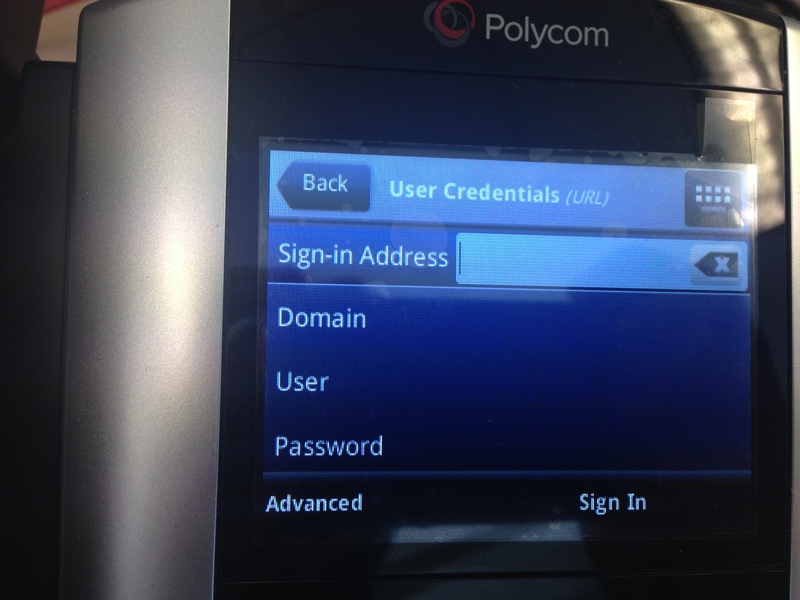 I can go into the phone(s) enable the web portal and http / https etc. The phone reboots, then immediately reboots again – the end result being the web portal ends up disabled (I assume the first reboot it is active, the second is disabling it again)! It was a rogue tftp server setting in the DHCP (for provisioning SNOM’s), causing the phone to reboot and reset. 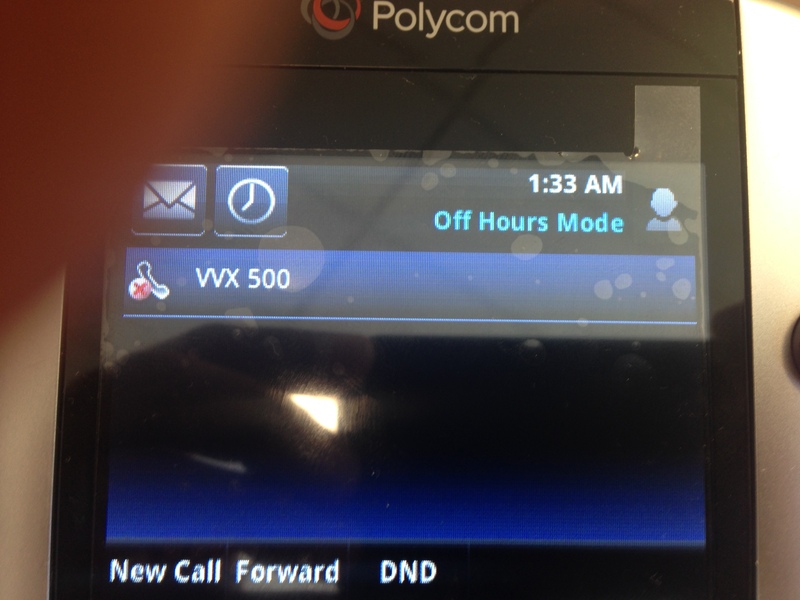 We are getting ready to install a new Polycom system with VVX601 IP phones. 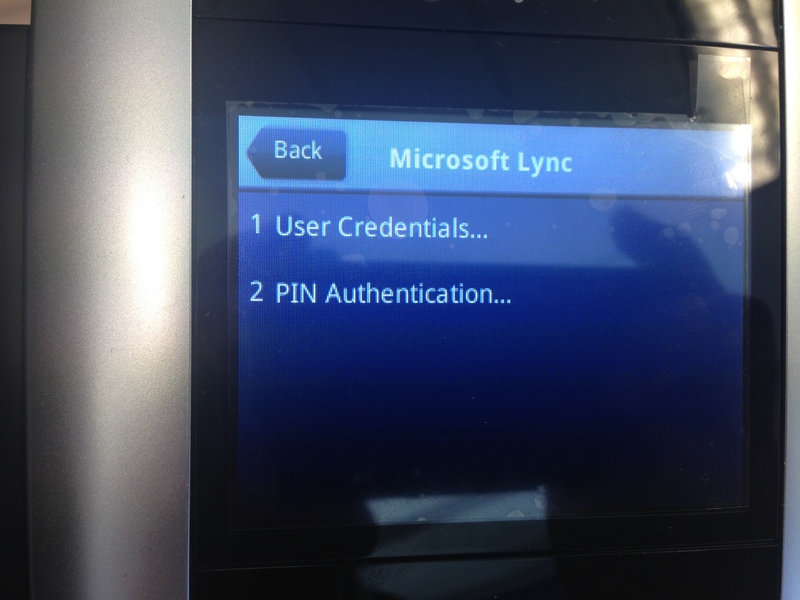 Can we operate with Lync with a Lync license? Want to do a test demo …. 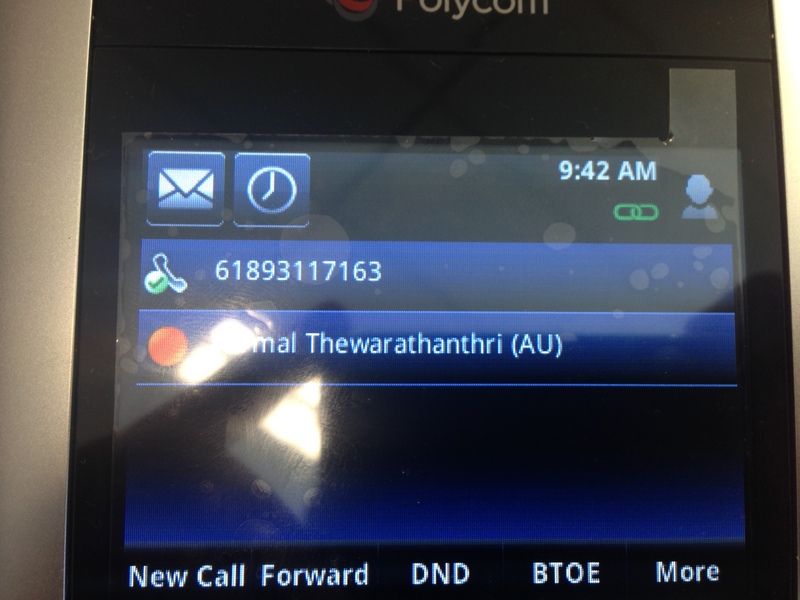 You indeed can use the VVX device using Lync CALs. No need to get any additional licenses for that. Our current setup is a off-prem hosted environment of SFB 2015 and all our mailboxes are hosted in Exchange online. Our current phones are CX700’s. 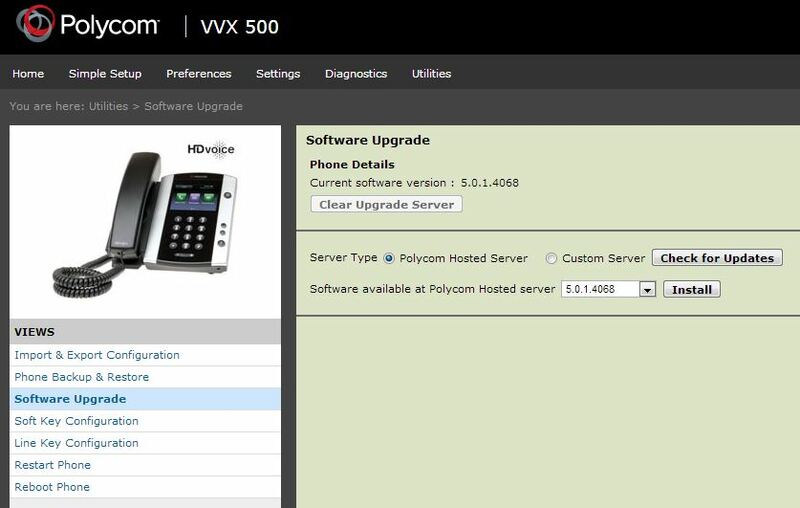 We are deciding if to upgrade to the VVX solutions so we purchased one VVX 410. I loaded the most recent software update 5.4.3 and also BTOE 3.3. 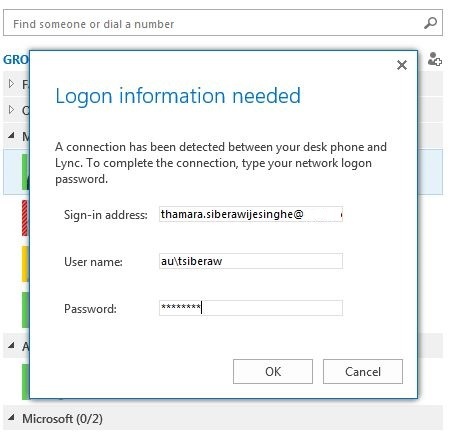 It pairs thru the SFB client successfully, but when to sign in, it gets stuck on Signing in and of course the web utility is disabled once its in Lync mode. Do you have any suggestions? See if you have all required OPTIONS configured in DHCP and sip.domain.com A record exist in DNS, resolve in to Front End server. 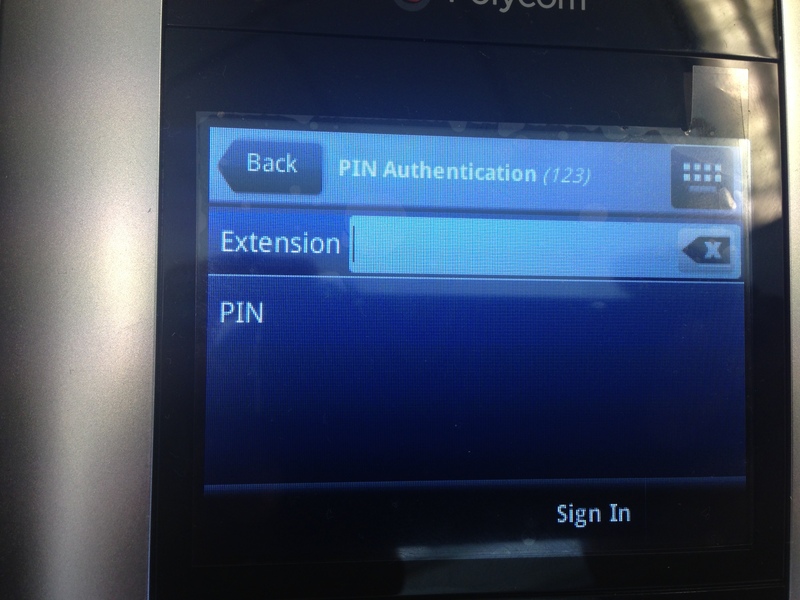 Also try using PIN auth instead of BToE and see if it goes anywhere. Also, you can enable the Web Tool by going in to Settings >Advance> Administration Settings. It’s in the bottom of the list. Once enable, check the logging on the device fro any clues of what may have causing the issue. Maybe this is a pretty basic question buy I will have to deploy 465 of these in the near future. How can I set ALL the devices to have the “Base profile” field configured? You need to have a Provisioning Server for that. And then you need to set a coinfig file with the base profile configuration that you need and then push it to all devices. Have a look at this blog from Jeff that talks about deploying Provisioning Server and setting up config files. 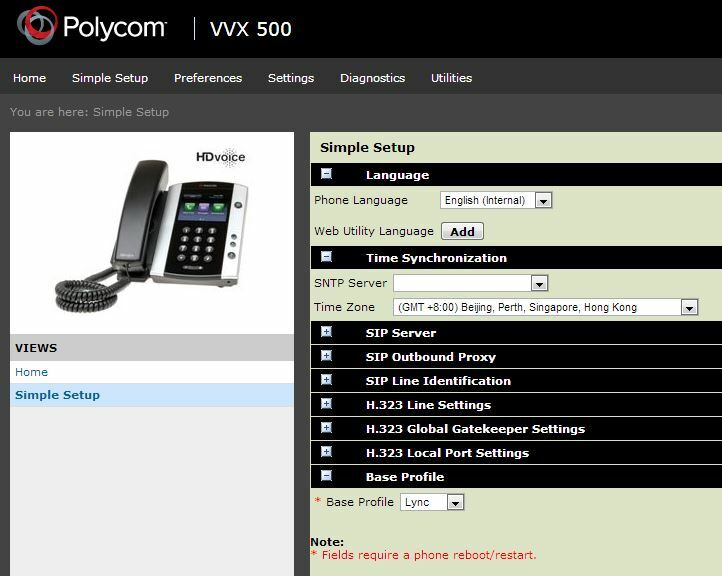 Hi, I just configured a VVX 600 but I am having problems. It will work well in the first couple of hours and then after that I won’t be able to receive calls nor dial out numbers and the next day I’ll have the same scenario. It’s intermittent. I tried configuring VVX 310 using the same Lync Account but I am having the same issues. 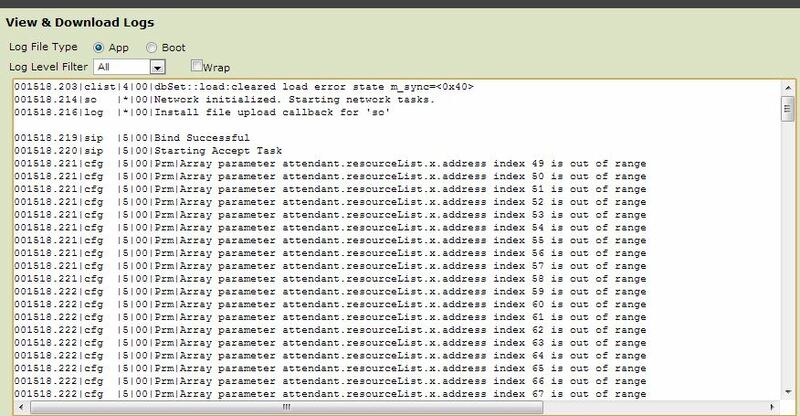 As per checking the call logs common error is ‘RESPONSE CODE: 500’ – (most common cause for this error is server misconfiguration). Need your expert advise guys. Thanks.